It’s understandably quiet at the moment as we head into another one of these international breaks. Honestly, these things are quite vexing, I must say. If we can look at anything positive from it, it’s that our momentum had been stuttering of late, but I’d really rather be playing Bournemouth away this Sunday than having to watch Wayne Rooney and Harry Kane cuddle up in a white shirt at Wembley for England. Who thinks up these ideas? Certainly not Richard Scudamore. He’s busy plotting how he’s going to tell the world the importance of the Premier League club’s all coughing up quarter of a million reddies so he can have a bit more cash to put on top of his already inflated money pile that he’s sat on since the Premier League riches exploded. This has all the hallmarks of the RBS pension scandal of Sir Fred Goodwin when he pocketed millions in a pension as he bolted out the back door whilst the UK government paid all the debt that RBS has amassed. Scudamore obviously hasn’t bled the Premier League dry – far from it – but him getting an even bigger goodbye handshake than some teams have turnover in years is wrong. That money could, and should, be used to invest in grassroots football, or help charities affiliated with The Premier League. It shouldn’t be taken out of the game by an already wealthy man just because he’s always liked the part in the Duck Tales opening credits where Scrooge McDuck jumps in to a pile of coins. Anyway, there’s probably other stuff that should be deflecting my attention, like Özil’s agent talking up how important the players profile was in negotiating the deal to keep the German. I genuinely don’t know what to make of it. I mean I work in marketing and so the power of brands are important and the rise of the ‘personal brand’ has been in existence for decades, but the fact that it’s now so openly talked about with such eye watering sums does make the footballing purist side of me significantly wearier. From a PR perspective Dr Sogut could probably have taken a bit of advice I think. At a time where people have – half fairly, half unfairly in my opinion – been criticising the player’s form, the last thing he really needs is an agent saying “yeah well, we knew Mesut would sell shirts and he’s got loads of Insta followers, so we just whacked an extra £100k on the weekly package and saw if the club would bite”. His words haven’t really helped anyone really. But it does smack to me of yet another example of Gazidis and his politicking. He knew at that time that if Özil didn’t sign things would probably go even further south in the fans eyes than they already were. The move to pay the money Özil wanted was one that was designed to prop up his own reputation and that just ain’t right. Personally I love Mesut and the impact he brings on our team when he’s at his majestic best, but even I’d have trouble justifying his £350k per week salary at times this season, so if I was in his agents shoes I’d have kept it nice and simple and done an interview that effectively said “Mes told me this was his home and just to get the deal done, so that was it for me”. But hey, such is life, and as such the club move on. Thankfully without Gazidis. I suppose the other major talking point over here in Blighty is the whole Brexit stuff, specifically in our world, how it impacts on football. The FA and Home Office are talking to each other about the importance of reducing the number of overseas players in squads in the most ‘yer da Brexit’ move that could possibly be imagined. 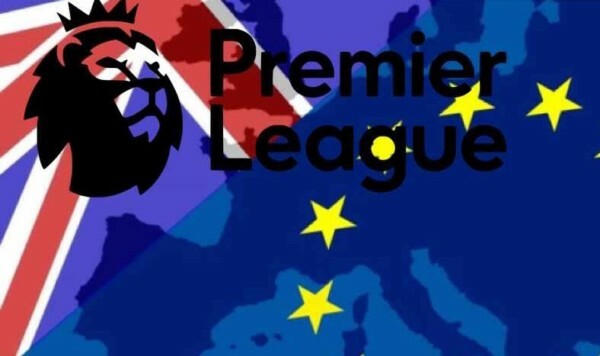 I understand the desire to get more home grown players playing football at the higher levels, I understand that we want to see the best in the Premier League, but that isn’t going to happen if we restrict clubs abilities to find global talent. If clubs were restricted on the overseas quotas all it would really do is over inflate the prices of British talent. It would see the like of the lad from Bournemouth Brooks suddenly becoming a £50million footballer after a good season just because of his passport. It’s a stupid idea but then again Brexit was a stupid idea as so many people are now finding out. If we want to see the improvement in home grown talent, why don’t we get younger players playing in first teams throughout the league a little more of a driver? That way they can ply their trade, play well and earn money moves to the Premier League as big clubs look to the lower leagues for bargains like in the old days. That doesn’t happen right now because the English Premium already exists due to quotas. If you abolish quotas, but also abolish the ridiculous loopholes in the loan system that sees teams like Chelski stockpile hundreds of players each season, then you force those players to go elsewhere and play first team football. Or perhaps – radical idea here – youth teams at Premier League clubs should be minimised. That sounds harsh I know, but all that would happen to that talent is that they’d join lower league clubs and probably be fast tracked in to the first team more. It would be a shame for us because we wouldn’t have ‘one of our own’ coming through, but potentially you could have partnerships with big Premier League clubs and lower league teams that sees the lower league team get a bit more cash from the arrangement that they could then invest more in youth setups. If there was more of a financial incentive there’d probably be even more interest from clubs across all the divisions too. Just a few thoughts on a Wednesday morning for you. But to me the system is too weighted towards the Premier League and although I know it’s ironic that as an Arsenal fan I have a problem with that, but I’m also a football fan and I want to see solutions to the improvement of our game which doesn’t restrict the quality of football I watch on a Saturday/Sunday.